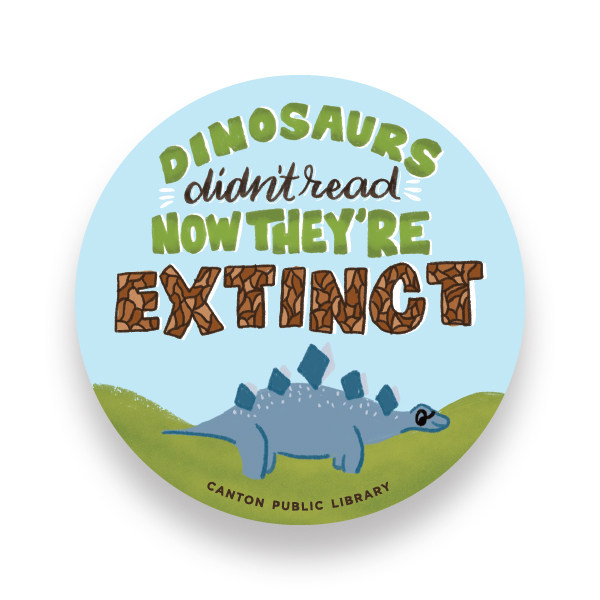 If you haven't guessed already, the Canton Public Library and I work together regularly. Laurie, the department head, is incredible and I am thankful to have the opportunity to create beautiful work with them. For this project, the goal was to create sticker and pin illustrations that they could hand out to the community to engage them even more. We wanted to be able to hand these out to any age group (although, they do lean more towards a younger generation but I would totally wear these!) There are 9 illustrations total with fun and empowering sayings that hopefully make you giggle and go to your own local library! As a reader and an illustrator, I quickly fell into a trance while working on these. The research, the sketching, and the colors! These are a representation of a library that cares about their community. They're constantly creating events that engage the community with them, and helping start conversations that have to happen. Libraries are an essential part in every community, and I'm proud to work with them.